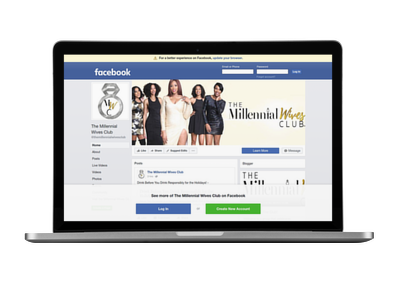 The Millennial Wives Club had the opportunity to sit down and talk to Millennial Wife Rose! We wanted to highlight Rose because she has such an amazing story on how she has embraced herself despite facing alopecia. 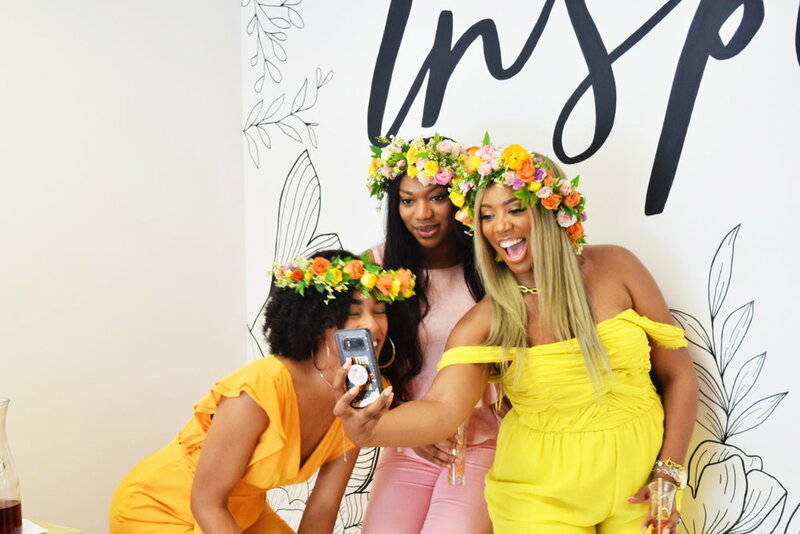 We talked obstacles faced my millennial women today, how to overcome negative thoughts, her journey of rediscovery, and balancing love and career. It was inspiring hearing Rose take us on her journey. Rose: The evolution of Rose has been very complex yet beautiful at the same time. It started all the way in Ghana, West Africa where I was born, and has included various pitfalls and successes over the last 28 years. I was raised primarily by my dad and thank him greatly for raising my sibling and I in the church. My Christian faith journey has served as the core foundation of the woman I am today. This aspect of my life has truly kept me grounded throughout the different trials and challenges. The experiences in various seasons of my life have produced a woman who is now very resilient, resourceful, and not afraid to face any uncertainties of the future. My journey is far from over, but I love that through reflection I’ve been able to effectively compound all the lessons into this book I call “My life”. I attended a conference recently, and was given this simple piece of advice-“ Everyone should write a book. Even if you just write it to give to your children.” That statement really stuck with me because I think it’s important for women to keep a record of their life’s journey. In addition to reflecting and recording the many lessons learned. Our stories can serve as a success roadmap to help future generations thrive! MWC: What would you say is the hardest obstacle as a Millennial Wife/Woman? Rose: The hardest obstacle for a millennial wife today is that of balance. Personally, I like to divide my life into five broad segments: Faith, family, finances, fitness, and fun. Women today tend to be extremely ambitious and aim for high achievements within those categories. Due to the efforts of generations before us, we have been given the privilege of thriving in spaces that were once not open to women. I believe this has heightened our sense of moral obligation to be the best we can be in all aspects of life. But the reality is we are all human with only 24 hours in a day, so it’s unrealistic to think we’re going to be “perfect” in all areas. Exposure to others’ lives through social media can also create a sense of pressure to have it all together. Thus, balance is what I think is the greatest obstacle we face. MWC: How has living with alopecia affected your marriage (if any)? to devote more time to one than the others? If so which one? Rose: As I mentioned earlier, I like to divide my life into five broad categories which are faith, family, finances, fitness, and fun. The way that I choose to balance my life in these areas is being intentional about planning my days, weeks, and months. Then spending time (usually on Sundays) reflecting on what I actually completed versus what I initially planned. This has helped to create more awareness about how I can spend my time more efficiently in addition to the parts of my life that need improvement. I purchased a wonderful planner earlier this year called the “Passion Planner”. It has each day of the year broken down into 30 minute intervals from 6 AM until 10:30PM. Using the planner consistently has helped to create a more focused life roadmap and keeps me accountable to being more balanced. Overall, I do think there are seasons with which we may be more focused in one area more than the rest. However, my goal is to consistently stay balanced as much as possible because I believe that contributes to a more fulfilling life! MWC: Give the one piece of advice every woman needs to hear. 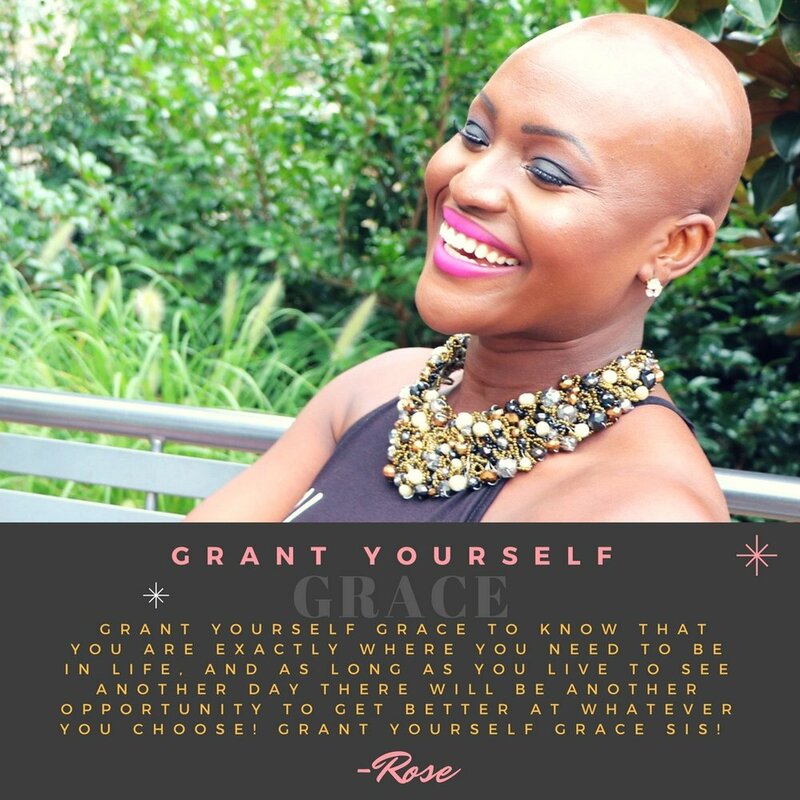 Rose: One piece of advice I would give to every woman is learn to grant yourself Grace! Due to so much exposure in today's society, it is easy to look around and think that you are not doing enough or not where you are “supposed to be”. This can create a sense of anxiety and lack of contentment for your individual life journey. Grant yourself Grace to know that you are exactly where you need to be in life, and as long as you live to see another day there will be another opportunity to get better at whatever you choose! Grant yourself GRACE Sis! MWC: You shared a video recently about your journey of rediscovery and dealing with alopecia. Take us through the steps of how you regained your confidence and self-esteem. Rose: I would say that the process to building confidence and self-esteem after losing my hair is still ongoing. Due to the mystery around the causes of alopecia and the lack of a cure, it has been a lengthy journey of healing and acceptance. So far, what has helped most within my process is first my faith in God. Through fellowship with other Christian women, I have been able to see myself in the identity that God created me. So although my physical appearance may not match that of societies standards, growing in faith has helped with growing my confidence as a bald woman. Secondly, choosing to seek the professional help of a therapist has also been instrumental in shaping my perspective around acceptance of my condition. I believe it is necessary for any woman (especially before or while married) to invest in counseling/therapy services. We all carry some level of personal “ baggage”, so I think it’s helpful to have unbiased professional assistance to help navigate through various circumstances. Rose: I would like to be most known as a woman who did her best to exemplify true Christ-like Agape love to everyone. This world can be very negative and cold, so I hope to be someone who was known for being positive and willing to help wherever possible. MWC: When negative thoughts overshadow positive self-talk, how do you uplift yourself? Rose: I have a simple three-step approach that I use to overshadow negative thoughts when they arise. One, is to acknowledge the thought as being negative in the first place. Two, reflect on the actual root cause of that thought. Oftentimes it’s simple scenarios that trigger our negative thoughts. However, those thoughts typically stem from much more deeply rooted issues. So I think it’s always important to take time to reflect on the root, which also creates a better sense of self-awareness. The third step is replacing the thought with something positive. I choose to look at the situation from a brighter perspective which helps a lot. Then lastly, move on with life…..Don’t dwell! MWC: What do you love most about being a Millennial Wife? Rose: What I love most about being a millennial wife is all the FLEXIBILITY to create a unique lifestyle for my husband and I. The great thing about this generation is social media and the internet has allowed us to share so many different thoughts, ideas, and strategies. I can virtually find information about ANYTHING I need help with…… From finding new recipes to how to fix an appliance in my home. As an engineer by degree, I LOVE anything that will make managing my household more efficient! Social media has greatly helped in creating connections to make our lives as wives better each day! MWC: What is next for The RELEASE project? Tell us more about it. Rose: My platform is currently still in its true infancy stage. Thus, my goal in the coming months is to simply share more of my experiences to provide awareness about alopecia and its effects. Millions of people suffer from shame about being bald, so I hope to be a global ambassador for body positivity in relation to baldness. 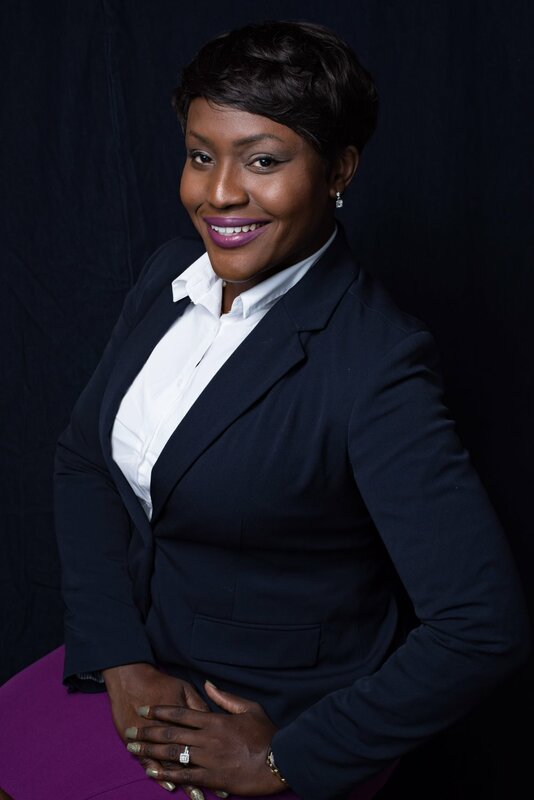 Most importantly, I want to help children and teens that are dealing with alopecia or other medical hair loss conditions to feel more acceptance about their unique physical characteristics. Thank you so much Tia for this opportunity to share my story, and thanks you once again for creating this beautiful platform that has connected so many women around the country! It is so refreshing to have a place that we all can come together to learn from each other, and most importantly grow together! Want to continue to follow Rose on her journey? Please subscribe to her YouTube Channel here.